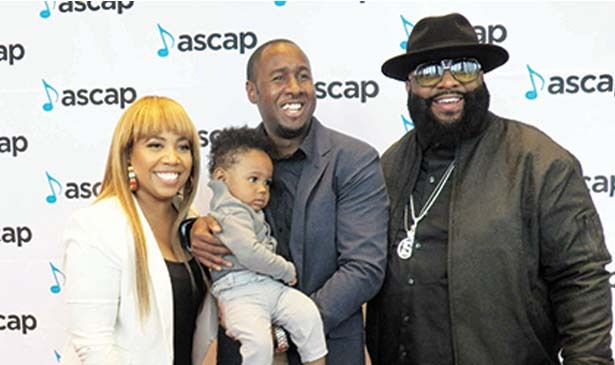 LAS VEGAS, NV — It was a night of glitz, glamour and glory—as in a hallelujah good time during the recent 33rd Annual Stellar Awards that took place at the Orleans Arena in Las Vegas. Hosted by Grammy Award and Stellar Award winner Kirk Franklin, the Stella Awards broadcast is currently airing in national syndication in 110 markets, now thru May 6, 2018. Check www.thestellarawards.com for times and channels. 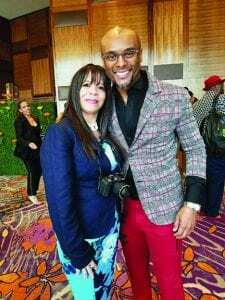 JJ Hairston and wife Trina celebrate his winning 6 Stellar Awards this year. The evening included memorable performances by a standout cast of gospel greats that included: Mary Mary, Kierra Sheard, Tori Kelly, Tasha Cobbs Leonard, Anthony Brown, JJ Hairston, and more. One of the most anticipated performances of the evening came from multi-platinum award-winning rapper/actor Snoop Dogg, performing material from his new gospel album, “Bible of Love.” The crowd lovingly welcomed the legendary hip hop star with a thunderous ovation. 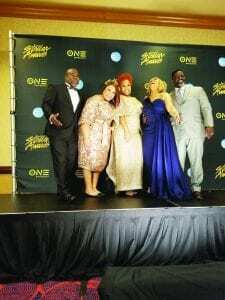 Top Stellar winners of the night were JJ Hairston six awards; Tasha Cobbs Leonard and Travis Greene each winning four awards. Shiz” Daniels serving as host. Brian brought the crowd to their feet as he performed the title track to his latest album — ‘A Great Work.’ Grammy-nominated singer Kenny Lattimore is primarily known as an R&B singer, but he proved that his talents have no boundaries with a moving performance of his latest song ‘We Want to See You’ on the Motown label. Long after the show ended, people were still in awe of how long Kenny’s signature falsetto vocal talents effortlessly held a high note during the song for over 10 seconds.